Bridges: Mathematical Connections in Art, Music, and Science (discovered via Mr Honner) is an annual conference where mathematicians, scientists and artists explore the mathematical connections between these subjects. 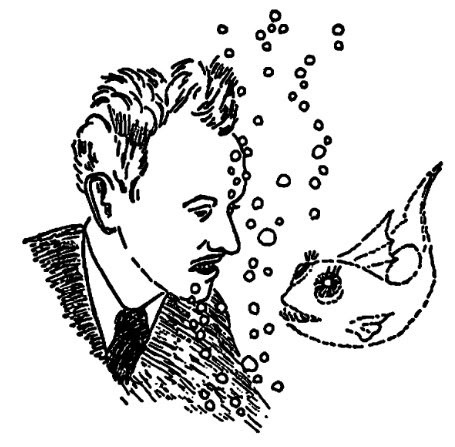 In particular today is the poetry day, and I decide to publish an interesting scientific poetry, that was submitted and published on Nature! 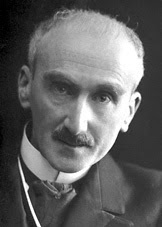 It's interesting to observe that Soddy's poetry is the oldest poem submitted to a scientific journal, being older than The Detection of Shocked Co/ Emission from G333.6-0.2 by J. W. V. Storey, published in 1984 on the Proceedings of the Astronomical Society of Australia and discovered by Maria Popova. In alternative you can read 5 Sigma - What's that? by Evelyn Lamb. A great thanks to Marco Fulvio Barozzi: his post(1) about Miller's book is the main inspiration of my post. Yesterday, on the Guardian, Arthur I. Miller, the author of the book Einstein, Picasso: Space, Time and the Beauty that Causes Havoc, wrote a briefly article in which he resumed his thesis about the connections between Poincaré and Einstein, between Poincaré and Picasso and, for translation, between Einstein and Picasso. Two years later he named it Principle of Relativity. 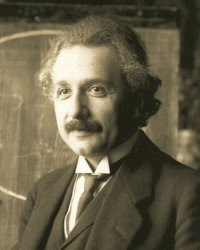 At the other hand, Einstein did not cite Poincaré's works in his paper published in 1905 by Annalen der Physik and only in a conference in 1921 Einstein confirmed his debt to the french mathematician, but only about general relativity and non-euclidean geometry. 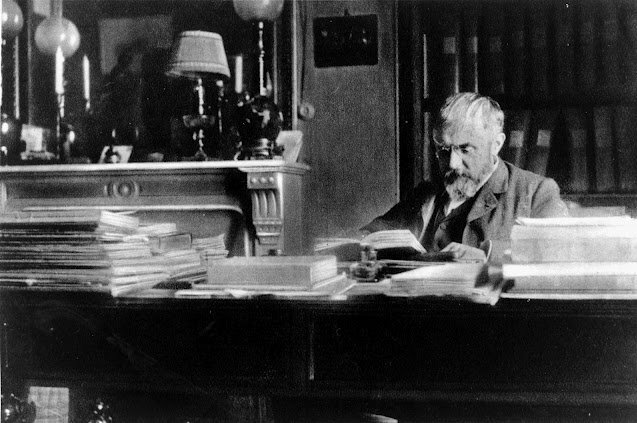 And this is the only documented connection between Einstein and Poincaré: we must suppose that the two scientists worked indipendetly and also after his first paper Einstein used Poincaré's discoveries in order to develop the mathematical formalism of the general relativity. I'm partially wrong! 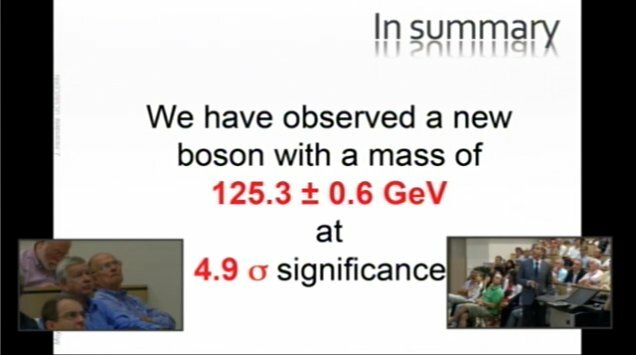 Yesterday I write that no Higgs could be announced, but today ATLAS and CMS presented the observation of a new boson, that it's to soon to identify with certainty like the Higgs boson, but it is certainly a new boson to add to the picture of the universe. 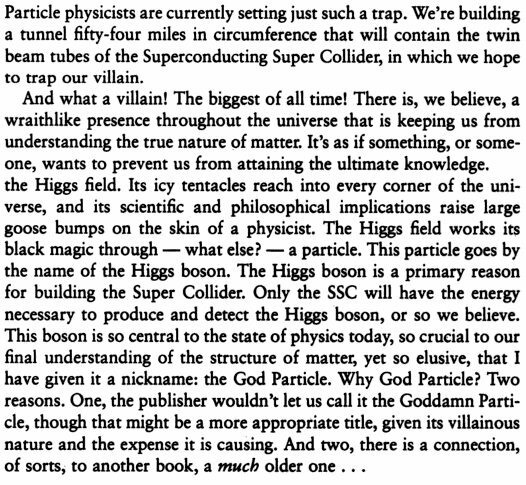 The next quest is to find its properties and to confront with the theoretical properties of the Higgs boson. It could be that the new boson presented today could be different for a bit of properties from the Higgs, but this is not so incredible: like I write, with a Higgs boson with a mass around 125 GeV, we need other ingredients to complete a picture of our stable universe. But... what did it happen today? 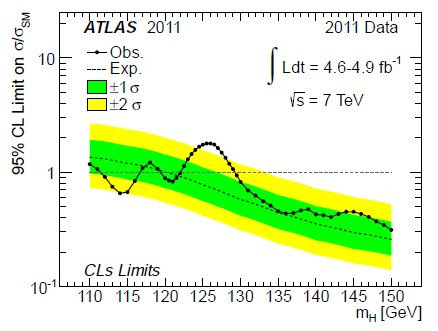 The two experiments, CMS, represented by Joe Incandela, and ATLAS, represented by Fabiola Gianotti, showed the results of their last data elaboration about Higgs research. The results come from the combination of the complete data set from 2011 (see, for example, the ATLAS' preprint) with the first part of data from 2012. 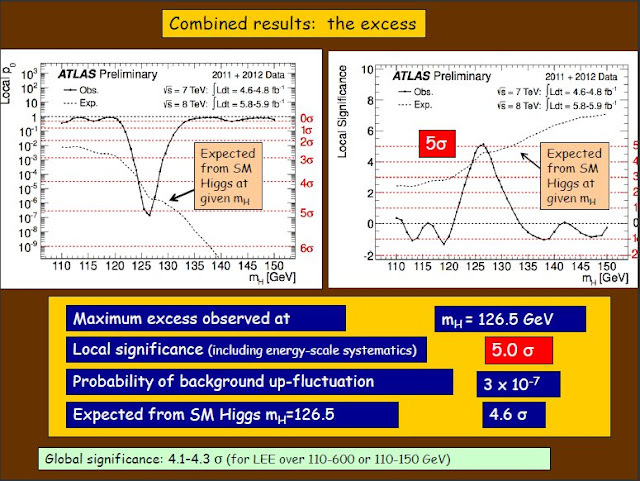 The conclusions are: CMS sees an excess with $m_H = 125.3 \pm 0.6 GeV$ with a significance of $4.9 \sigma$; ATLAS sees an excess with $m_H = 126.5 GeV$ with a significance of $5.0 \sigma$, that it means discover! You can follow the conference in webcast, on internet thanks to the live blogging from Sean Carroll, or following the hashtags on twitter: #Higgs #ICHEP2012 #CERN #LHC #LargeAdronCollider. We now have more than double the data we had last year that should be enough to see whether the trends we were seeing in the 2011 data are still there, or whether they've gone away. It's a very exciting time. Combining the data from two experiments is a complex task, which is why it takes time, and why no combination will be presented on Wednesday. 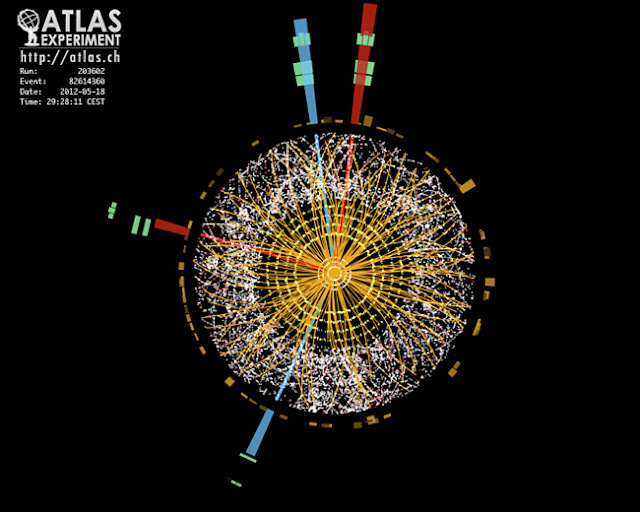 A combined search for the Standard Model Higgs boson with the ATLAS detector at the LHC is presented. The datasets used correspond to integrated luminosities from 4.6 $fb^-1$ to 4.9 $fb^-1$ of proton-proton collisions collected at sqrt(s) = 7 TeV in 2011. 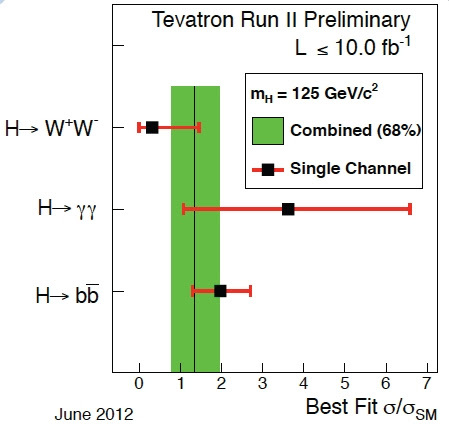 The Higgs boson mass ranges of 111.4 GeV to 116.6 GeV, 119.4 GeV to 122.1 GeV, and 129.2 GeV to 541 GeV are excluded at the 95% confidence level, while the range 120 GeV to 560 GeV is expected to be excluded in the absence of a signal. An excess of events is observed at Higgs boson mass hypotheses around 126 GeV with a local significance of 2.9 standard deviations (sigma). The global probability for the background to produce an excess at least as significant anywhere in the entire explored Higgs boson mass range of 110-600 GeV is estimated to be ~15%, corresponding to a significance of approximately one sigma. I must rember you that, to declare a discover of a new particle, the result must be released with 5 sigma, and ATLAS data is given with 2.9 sigma(1). We are really near to the Higgs boson, but we don't have the certainty, so I think that tomorrow nobody say We have discovered the Higgs boson (but I could be wrong). Rethinking Mathematics (RM) is ready for its second edition and needs contributors! We are excited to put forward this call and are calling on authors to submit manuscripts for consideration to Rethinking Schools as soon as possible. Our deadline for submissions for next edition of the book is September 1.
resources for teaching math for social justice (see RM, "Resources" section and RM itself) including cartoons, graphics, graphs, pictures, and other creative and lively ideas. Of these, the first is our priority. And for these, we are especially looking for chapters written by (or with) classroom teachers who have actually taught the social justice lessons, and those manuscripts that emphasize student voice, real classrooms, and all the challenges of doing this work (including how teachers themselves learn and grow in the process). If you are not familiar with the Rethinking Schools magazine, please read the chapters in RM and articles in the magazine to get a sense of what Rethinking Schools publishes, and see the Rethinking Schools contributor guidelines. Several areas that we want to emphasize are articles for younger grades (K-5), international perspectives (and authors from the Global South), issues of mathematics and bi/multilingual contexts, contributions focusing on culture and cultural relevance, and submissions by authors of color. 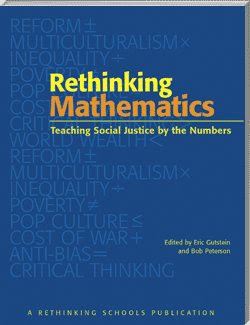 Our view is that Rethinking Mathematics is really an ongoing project for Rethinking Schools and the wider teaching and learning mathematics for social justice "community". That is, we will always be open to considering articles for the magazine and for future editions of the book in case we are not able to accept your submission for this edition. Of course, Rethinking Schools can never guarantee publication, but the Rethinking Schools editors are committed to working with potential authors in shaping your submissions for the book or magazine.